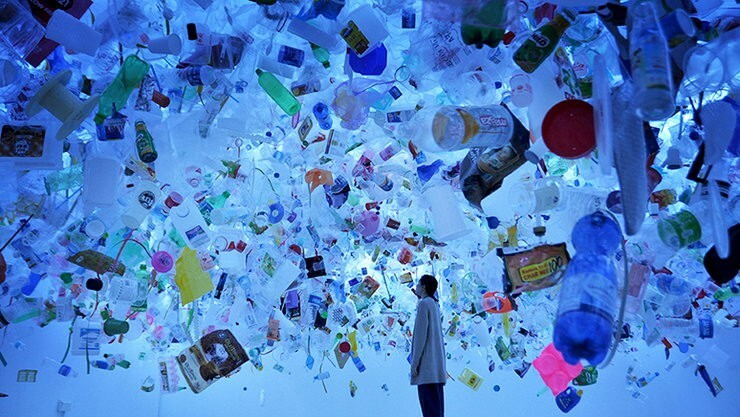 The festival is the best chance to expand cultural exchanges between Vietnam and Singapore. 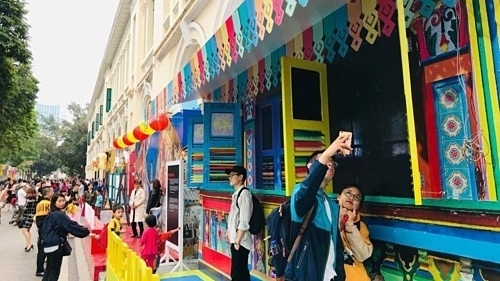 The first Singapore cultural festival will be held on March 23 and 24 at Ly Thai To Park in central Hanoi, under a cooperative arrangement between the Embassy of Singapore and the Singapore Tourism Board in Vietnam. The festival will introduce Singaporean culture, bringing the country closer to Vietnamese friends and strengthening the relationship between the two countries, according to Ambassador H.E. Catherine Wong. Deputy Prime Minister and Coordinating Minister for National Security Teo Chee Hean arrived in Vietnam for an official visit on Thursday (March 21) and will stay until Tuesday, according to a press statement from the Prime Minister's Office (PMO). During his trip, Mr Teo will visit the capital city of Hanoi as well as Hue and Ho Chi Minh City (HCMC), where he will meet several leaders such as Vietnamese Prime Minister Nguyen Xuan Phuc and Permanent Deputy Prime Minister Truong Hoa Binh. DPM Teo will also launch the Vietnam-Singapore Cooperation Centre, and officially open the Singapore Festival in Hanoi and the new chancery of the Singapore Consulate-General in HCMC. The best things in life happen by chance. And there’s no one better than Khairuddin Hori to embody this sentiment. His first encounter with art was watching his sister perform on stage. It was Malay theatre and Khairuddin would wait for the troop to finish so they could hang out together. “Every weekend, before we all went out as friends, I would wait for them to finish until one day my friend said why don’t you join us instead of waiting around and we could all go after,” recalls Khairuddin. And this is how he stepped into the mesmerizing world of art and creativity. While he started out as a theatre actor, writer and even tried his hand at some poetry in his early days, it was painting that he finally chose to make his life’s mission and passion. Singapore Tourism Board (STB) organized the art exhibition "The Unknown World"
Singapore Tourism Board (STB) held the art exhibition "The Unknown World" between 12 - 17 March 2019 at the Bangkok Art and Culture Center, presenting the art and cultural diversity of Singapore through the collaborative work of Thai street art artists, "Rakkak Sathaphavajana" and Singapore street art artist "Samlo". Showcasing art that combines AR (Augmented Reality) technology, the series "Atypical Singapore "by contemporary Singaporean artists was part of "The Unknown World" art exhibition, held under the campaign "Passion Made Possible” to attract tourists with a wide range of interests to visit Singapore. Singaporean street and modern art was the overarching theme during the Lodhi Art Festival last weekend. 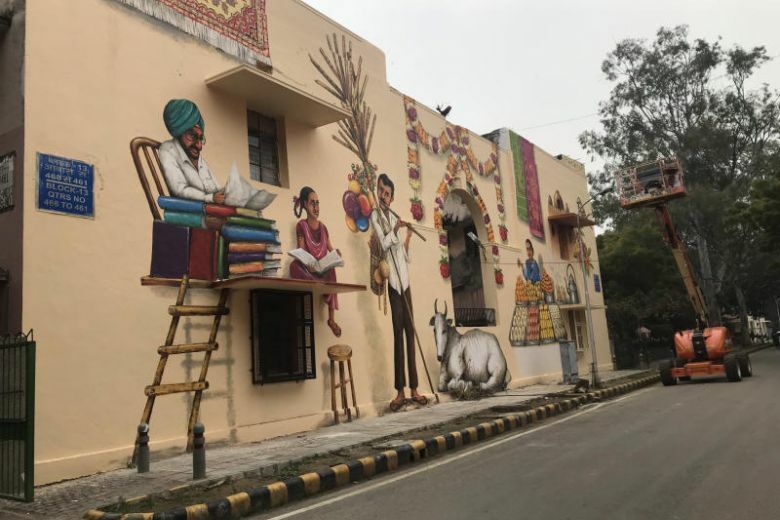 With extensive displays at Kona and murals on the walls of houses in Lodhi Colony along the road dubbed Singapore Lane, the Singapore Tourism Board and St+art India Foundation's collaborative efforts have borne remarkable fruit. The latest instance of the STB's 'Passion Made Possible' brand, the weekend saw a series of culture-shaping and breakout activities involving workshops, live performances and curated displays across the Indian capital. How long does it take to get to Mars? Well, if you’re with with Eugene Soh, almost instantly. Recognised as one of the most talented photographic artists in Singapore, Eugene combines perceptions of the contemporary realities of Singapore with his knowledge of digital art and media technologies to produce sharply distinct works of art. He was among the artists who came to India to share their unique and innovative art works at Singapore Weekender which happened at F(r)iction at Kona, Jor Bagh, New Delhi. 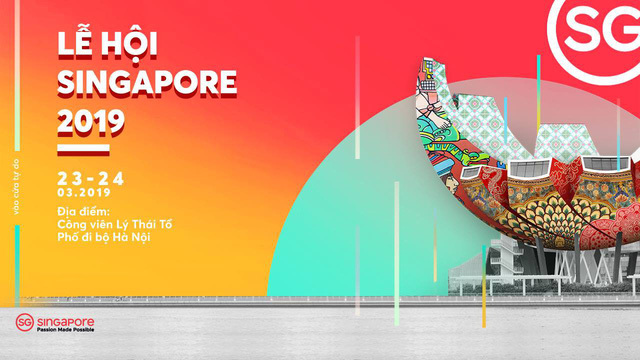 Organised by St+art India Foundation, this year the festive collaborators were Singapore Tourism Board. 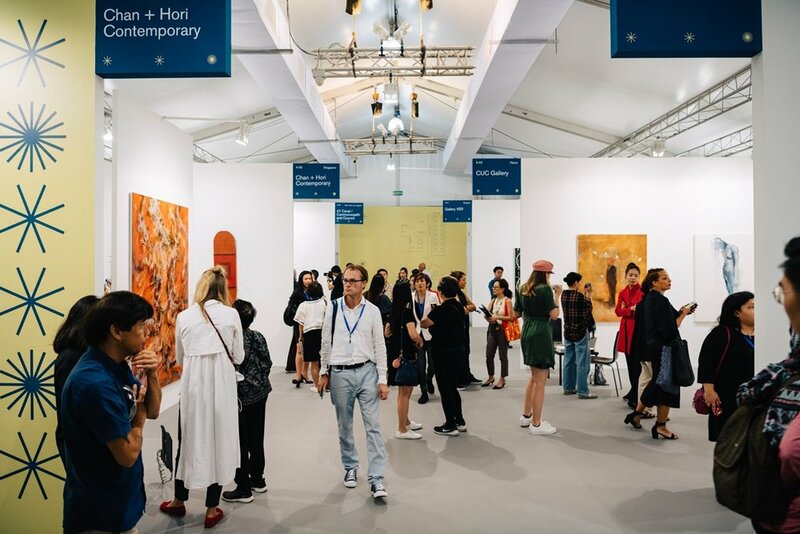 The visitors were enthralled by Atypical Singapore, an art and augmented reality (AR) technology showcase by Chan+Hori Contemporary which featured seven Singapore contemporary artists including Eugene. Group show, ATYPICAL SINGAPORE curated by Khairuddin Hori under Singapore Tourism Board’s newest campaign, Passion Made Possible. It was a colourful weekend that gave a whole new meaning to the concept of Modern Art. Highlighting the cross-cultural ingenuity of artists across Singapore and New Delhi, the Singapore Weekender of the Lodhi Art Festival provided a window into the world of innovative art, augmented reality and blending technology and composition. The Weekender was organised by the Singapore Tourism Board (STB) as part of the festival conducted by the St+art India Foundation, a non-profit that curates and brings to light the works of talented street and avant garde artists. And it is hoping a three-day festival will showcase to young Indians all that Singapore has to offer from art, entertainment to a bustling night life. The Singapore Tourism Board (STB) has partnered the St+art India Foundation, a non- profit group, for the three-day experiential festival called Singapore Weekender that started in Delhi on Saturday (Feb 16). The festival includes works by around a dozen Singaporean artists such as Sam Lo and Daniel Yu, a pop-up cocktail bar by Jigger and Pony and a performance by Singaporean rapper Yung Raja. Atypical Singapore brings a taste of what Singapore’s arts ecosystem is like to the streets overseas. Instead of waiting for travellers to encounter us by chance, this campaign seizes the opportunity to bring multi-sensory art experiences to the people – to engage them in terms of participation and dialogue. Ranging from performance art to GIF animation to sculptures, the works are done by seven contemporary artists handpicked by Khairuddin Hori, the curatorial director and partner of Chan+Hori Contemporary. Article posted on 21 October 2018. For ArtAsiaPacific’s first issue of 2019, we present Almanac XIV, a compendium of the most significant art events of 2018 and a look ahead at what’s next in 2019. In addition to spotlighting 53 countries—such as Taiwan, the Philippines, Mongolia, Malaysia, Kazakhstan, Georgia, Iran—that constitute our active footprint, the Almanac extends to the rest of the world, wherever artists of Asia, the Pacific and the Middle East work and are shown. In celebration of Christmas this year, Singapore art gallery Chan + Hori Contemporary decided to present an advent calendar - with a twist. Popular in Europe, advent calendars count down to Christmas day. On the calendar, each day is covered with a flap which, when opened, reveals a surprise such as a small gift. The A List featured Screen Dream - our online exclusive of Esmond Loh’s new works on their list of What’s On This Weekend! Visit this virtual art exhibition and find out more about this young Singaporean artist and his abstract paintings.